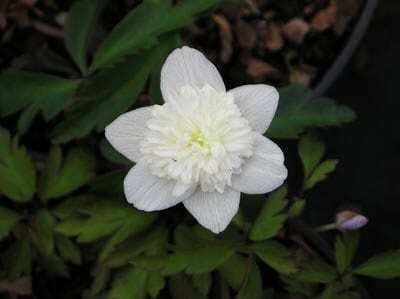 A compact spring flowering form with pure white flowers, which have a buttonhole of tiny white petaloid stamens at the centre, giving the appearance of being double. First discovered in 1830 and excellent for under planting deciduous trees or placing on banks. Best in shade with a well drained soil. Pest and disease resistant. Organically grown in peat free compost. Hardiness rating H5. Very easy! Goes dormant in late summer and can be divided from then until spring.